Jacob Salmela, creator of Pi-hole has published a great tutorial demonstrating how you can create a Raspberry Pi advertising blocker which is capable of blocking unwanted adverts network wide. Using Pi-hole and a Raspberry Pi mini PC the system is capable of blocking advertisements on all devices connected to the network. Watch the demonstration video below to learn more about the Raspberry Pi project. 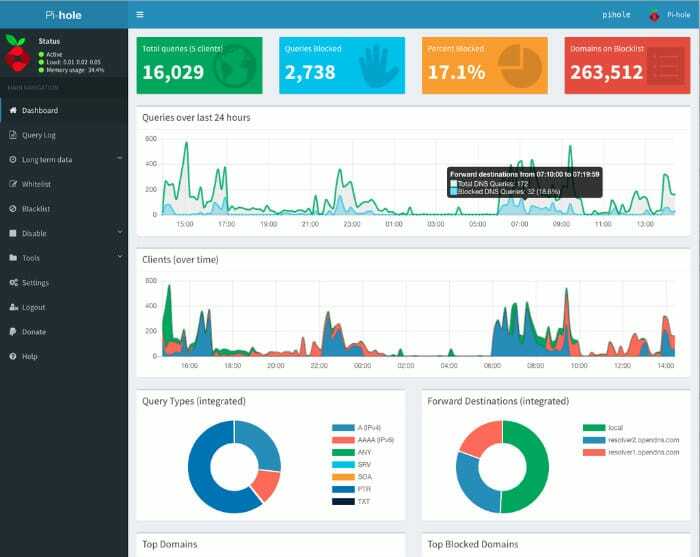 To block the unwanted advertising from all devices connected to your home network Pi-hole functions as an internal, private DNS server for your network. For many home users, this service is already running on your router, but your router doesn’t know where advertisements are, but Pi-hole does. Pi-hole will intercept any queries for known ad-serving domains and deny them access, so advertising will not be downloaded. Jacob Salmela, creator of Pi-hole explains more about the software he has created. “I originally made Pi-hole as a replacement for the AdTrap device. I have a background in networking, so I figured I could make something better with some inexpensive hardware like the Raspberry Pi. I spent two summers working on the project and made the code open source. Four years later, we have several developers working on Pi-hole, and we have grown into a very large project with a vibrant community.